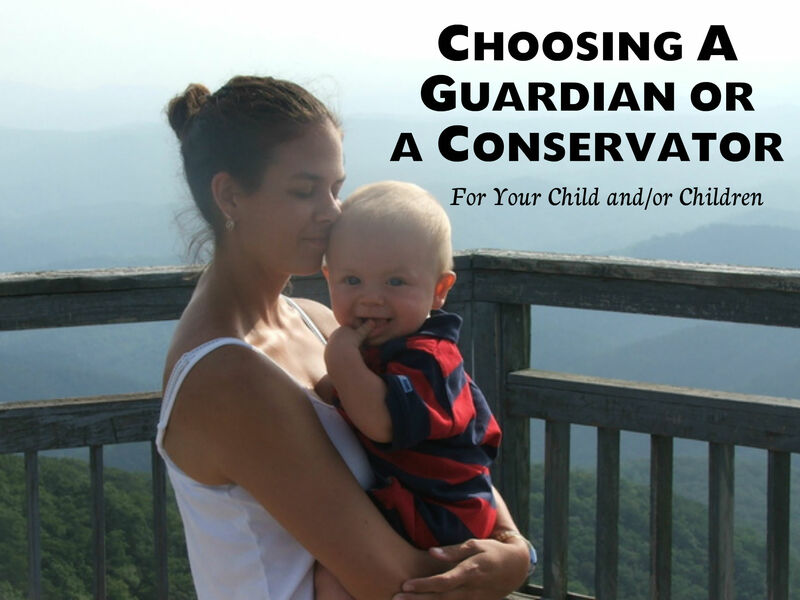 Why choose a guardian for your child?? Choosing a conservator or guardian for your child in the event of your passing is not a conversation most parents like to think of. However, selecting a guardian is an extremely important aspect of estate planning. In basic terms, a guardian is someone who has the legal authority to care for another person – in this case, a minor child. If you and your spouse pass away, or are unable to act as parents (mentally, physically, or legally), you will need someone to act on your behalf fulfilling the ‘substitute-parenting’ role. The guardian will need to make decisions regarding your child’s welfare, health, education, and sometimes finances. If you do not have a guardian named in your will or trust, a court will appoint a legal guardian who will then be responsible for the personal day to day needs of your child. Unfortunately, you will have no control over whom the court chooses. The court may not choose a family member as guardian; they may in fact choose the very person/persons’ you would have never chosen. Also, when a guardian is not chosen prior it is not uncommon for family to feud over ‘their right’ to be guardian. By appointing a guardian for your child/ren in a will or trust you can eliminate many unnecessary such feuds. Not only, will you be eliminating unnecessary squabbles you will also have the ability to select a person who has similar values, parenting style, is familiar, and hopefully someone who will help make the transition easier. The guardian you choose has the responsibility to raise your child according to your desires – choose wisely. A conservator (guardian of estate/finances) is responsible for managing the financial affairs of a child. The conservator takes care of real estate, manages bank accounts, and handles investments. Some of these duties include managing retirement accounts, life insurance, real estate transactions, and planning for higher education, etc. The guardian and conservator of the child are many times one and the same person. However, there are circumstances when it’s best to separate the two. For example, sometimes the person you appoint as a guardian may not be the best at handling money, or likewise you may have a family member who understands finances, but is unable to fulfill the parental role. In which case, the guardian and conservator maybe two separate individuals. 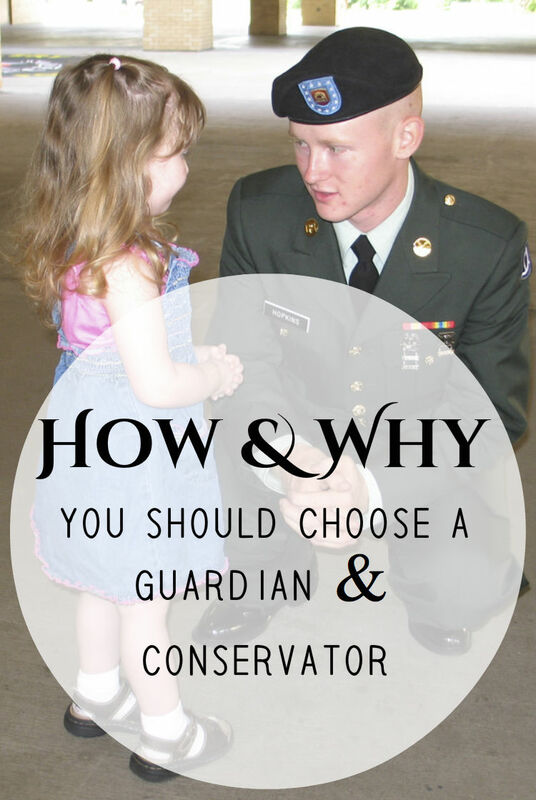 How to choose a guardian and/or conservator for your child? You and your spouse should take the time to discuss the people in your lives to best evaluate who would be the best person to act as a guardian and/or conservator for your child/ren. Planning for your future can be emotional and a bit overwhelming. Choose someone who shares your goals, values, and parenting style. Even if the person you select is limited to making only financial decisions on your child’s behalf you will want to see that the selected individual shares your philosophy of childrearing. Legal guidance is key when making these types of decisions. Hiring a family law attorney will help guide you through the process and keep you from overlooking various aspects of choosing a guardian or conservator for your minor child. Your attorney will also prepare the necessary paper work and file any required documentation thus making your decision legally binding and official. Have you chosen a legal guardian or conservator for your child/ren? If not, don’t delay contact Corriveau Law today to set up your free consultation.